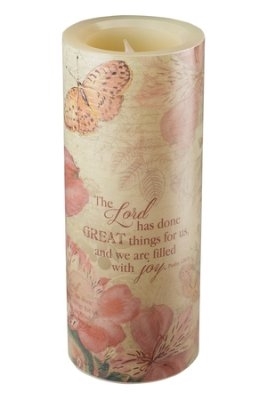 Decorative LED pillar candle features botanical motif with vintage postcard background and inspirational Scripture. 4" in diameter x 9.75" tall; battery operated (not included). Floral Inspirations Collection.